We know there are 100 other supply chain conferences you can attend this year. Thats why the HighJump Elevate Conference is carefully curated to teach you the next level, actionable technology that can immediately elevate your business. We’ll be covering a wide array of topics covered by leading experts in the field. From product and industry road maps, customer innovations & success stories to track specific keynotes on 3PL, Warehouse Edge, Delivery and transportation solutions. Elevate your knowledge, Elevate your supply chain game! Chad leads HighJump’s global supply chain applications business. He has spent his whole career helping customers streamline their distribution and logistics operations with technology. Chad is a recognized thought leader in the supply chain management industry and was awarded a Pro to Know by Supply and Demand Chain Executive magazine. Emmitt Smith is a professional football icon and one of the greatest to ever play the game. In his 15 years in the National Football League, Smith amassed many records, including three Super Bowl championship rings and his induction into the Pro Football Hall of Fame. Currently, Smith has transitioned to the role of businessman and entrepreneur and runs several companies spanning real estate, construction, and technology. A 15-year technology veteran, Mr. Elliott has been the principal architect of the HighJump One platform and the technological convergence strategy at HighJump. Sean has a passion for bringing leading edge mobility technologies to the supply chain, and enhancing end-user experience within the HighJump customer community. 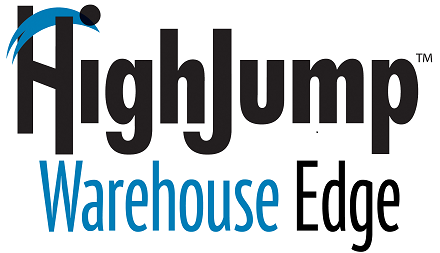 Here is why we think you should definitely attend HighJump Elevate 2019! Education sessions, product trainings, face to face with HighJump team- get the whole scoop on trends and issues in the industry. The environment is about problem solving, knowledge sharing and improving your business. Apart from the HighJump event we would like to invite our clients who attend for an Appreciation Dinner with the SupplySoft family! Lets Connect in San Antonio! Complete the form below to let us know your attendance and we’ll be in touch to coordinate a good time to meet!